As reported earlier, Nike and Nigerian National Team, will have a subsequent collaboration following their initial liaison that was met with a gush of critical acclaim. The new partnership between NFF and Nike promises the delivery of even more adorable pieces for the Super Eagles. 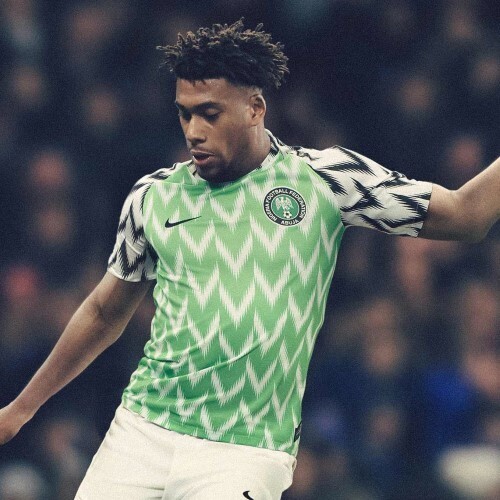 NFF and Nike have been in talks and it is promised that the incoming Super Eagles piece would eclipse it’s predecessive kit that was GQ’s World Cup Jersey 2018 in 2018. However, NFF just revealed that Chieftains of NFF and Nigerian Minister of Sports Solomon Dalung have arrived London for meetings with Nike to optimize the performance of the robust deal and most interestingly, Super Eagles’ stars Alex Iwobi and Wilfred Ndidi have been invited to attend for the previewing of the design to give options and suggestions as Super Eagles players. The kits are expected to be unveiled before the 2020 Olympic Games in Tokyo and you bet we can’t wait to see what it does look like.